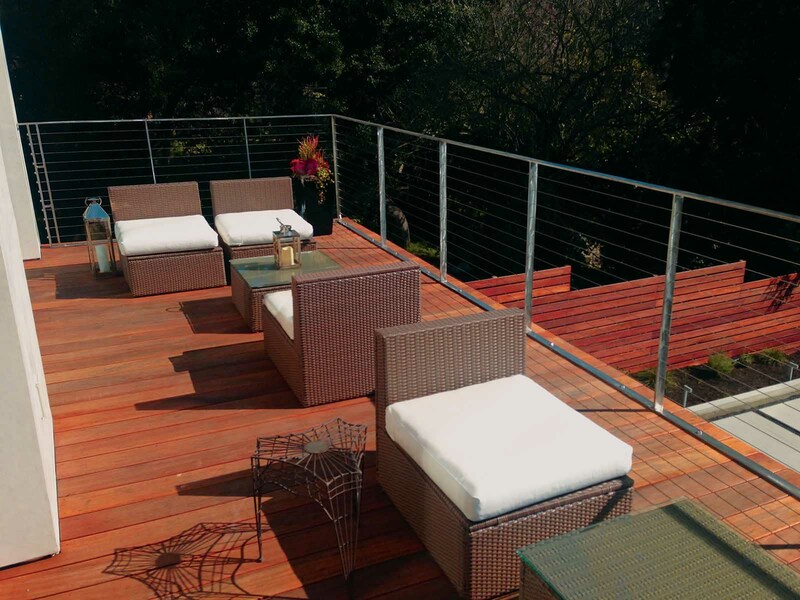 Mahogany Decking | What Defines Mahogany? Mahogany Decking can often be more difficult to define than you would think. Although there is Genuine Mahogany, the meaning of the name “Mahogany” over time has developed into the generic term for red lumber, similar to the way “Kleenex” has become the generic name for a tissue. In fact, the term “Mahogany” has become one of the most deceiving and misleading terms in the building materials industry. Genuine Mahogany decking has been praised for its rich red-brown color and its woodworking qualities ever since it was first imported into Europe during the 16th century. At the time, most of the Mahogany being harvested was old-growth trees from Central and South America. Old growth Mahogany is an incredibly stable and durable wood. Historically, old growth Mahogany has been used as flooring, wall and ceiling paneling, high-end cabinets, furniture, and even instruments. However, over the last 100 years or so, the demand for Genuine Mahogany grew so quickly that governments began controlling the harvest of old-growth trees and replaced much of the industries supply with plantation grown Mahogany. 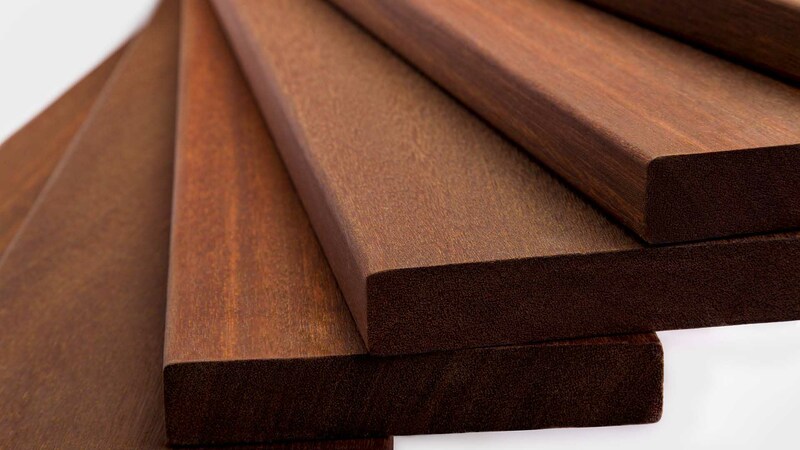 Today, the so-called Mahogany decking on the market is either plantation grown, or often times is an entirely different species disguised and marketed as “Mahogany”. Homeowners now face risk due to their rightfully perceived notion of Mahogany being extremely hard, dense, and resistant to rot, which would make it a great choice for decking if this was truly the case. With our decades of experience in the lumber industry, we chose to delve into and analyze the wood products we have found to be labeled as “Mahogany” and provide you with the information that we’ve gathered. Genuine Mahogany or Big Leaf Mahogany, scientifically referred to as Swietenia macrophylla, historically yielded exceptional lumber. However, the supply has been greatly diminished which has caused the cost to skyrocket and the cultivation of plantation grown Mahogany to popularize and take over the industry. Old growth Mahogany is out of reach and far too expensive to be used as decking in modern times. The difference between old-growth and plantation-grown Mahogany is much greater than some might think, but we will get back to that. Old growth Mahogany has wonderful potential in many applications. As stated above, the problem is that old growth Mahogany has become extremely difficult to source and is extremely expensive when found; prices ranging from $25/LF and up. The few companies that offer genuine old growth mahogany have limited supply, much of which is reclaimed or imported years ago. Although old growth Mahogany would make for a great deck, we have concluded that it may be equally cost effective to build a time machine, travel back in time, and import old growth Mahogany 100+ years ago to build your deck, than it would be to purchase genuine old growth Mahogany board planks for a deck today. This brings us to plantation grown Mahogany. Today, Mahogany decking is primarily plantation-grown in the Pacific island nation of Fiji or Honduras. 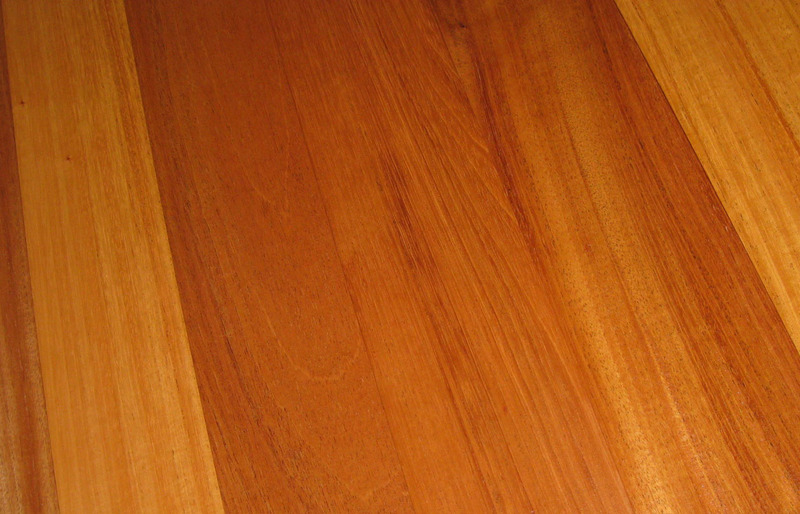 The coloring of plantation grown Mahogany is similar to old-growth Mahogany found naturally in forests. However, the lumber sourced from plantation grown Mahogany lacks the strength and durability that exists in the old growth trees, which makes it a sub-par choice for exterior applications. In addition, sapwood is often mixed with the heartwood when it comes to plantation grown Mahogany. Sapwood is far less durable than the heartwood of the tree, therefore any sapwood included will have an effect on the durability of the project it is used in. As the production of Genuine Mahogany diminished, there was an increased demand for a similar looking product that boasted the same or better performance as Genuine old-growth Mahogany. Much of what is now called Mahogany is sourced from either Africa or Southeastern Asia. Nova specializes in importing what is broadly referred to as Asian or Philippine Mahogany, specifically Red Balau, which is also known as Batu. Red Balau Batu is harder and stronger than plantation-grown Mahogany. While there are more than 200 different species of Philippine Mahogany/Meranti found throughout Asia, Nova Hardwood Decking utilizes only a select few species found within the Shorea Genus, doing so allows us to provide premium quality Red Balau Batu decking at an affordable price. Our Batu Mahogany Decking is carefully graded in order to achieve a nearly blemish-free decking with excellent color consistency, as well as superior strength and natural durability. 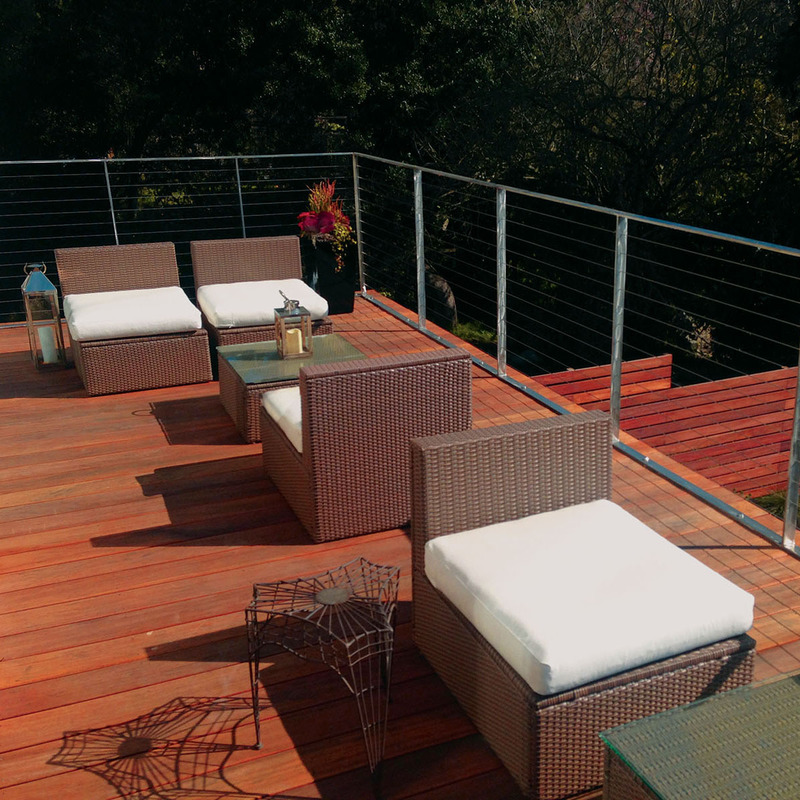 The Batu Decking we offer is sure to provide a Mahogany look at an affordable price, with superior performance. Our competitors often include inferior lower density species of Philippine Mahogany in their options for Mahogany decks. This often leads to an unreliable sense of quality and longevity of the product. 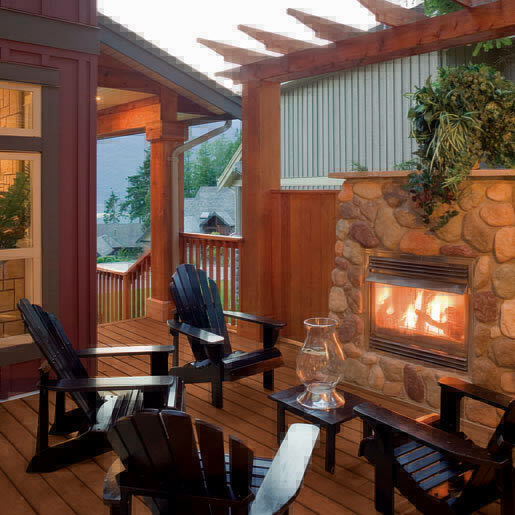 Nova Batu Mahogany Decking closely resembles the classic look of Genuine Mahogany. Our Batu (Red Balau) is naturally a deep and rich mahogany color. Batu ranges from a medium red to a deep red / brown with purple tinges, and often has resin canals with white contents in concentric lines on end surfaces which produce a warm and visually striking effect. By applying a Mahogany tinted oil finish, your deck can retain its rich Mahogany look for years to come. Considering the fact that we stake our reputation on the premium quality of our hardwood decking, we offer a 25 year warranty on all of our decking products. This way the consumer can feel comfortable that they are getting exactly what fits their needs with no compromise on quality. Meranti is naturally found in Southeastern Asia, specifically Malaysia, Indonesia, and the Philippines. The heartwood of Meranti trees is considered moderately durable, while the color ranges from almost white, to pale pink to dark red, and pale brown to dark brown. 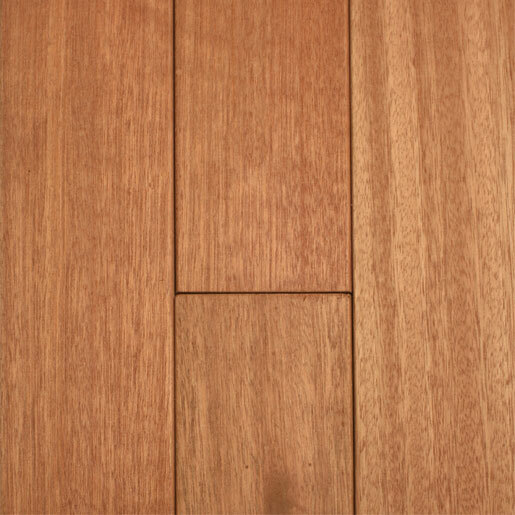 Meranti typically has an interlocked grain, although some species of Meranti exhibit more of a straight grain. When it comes to decking, Meranti decking ranks similar in performance to plantation grown Mahogany, which isn’t all that great. Cambara is another medium density wood sourced from South and Central America. The heartwood is typically a uniformly dull pink, pinkish brown or golden brown. Cambara has a medium to high luster and the texture is moderately coarse. 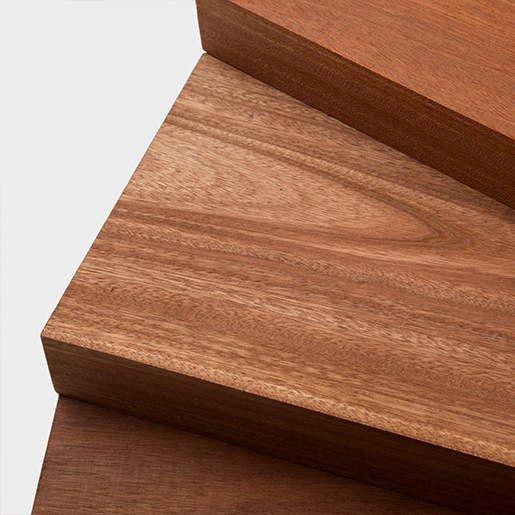 The grain of Cambara Mahogany ranges from slightly to highly interlocked. Often times Cambara is marketed either simply as Mahogany or as Cambara Mahogany. It is important to note, Cambara Mahogany is not derived from the same family of trees as Genuine Mahogany (plantation grown or old-growth). 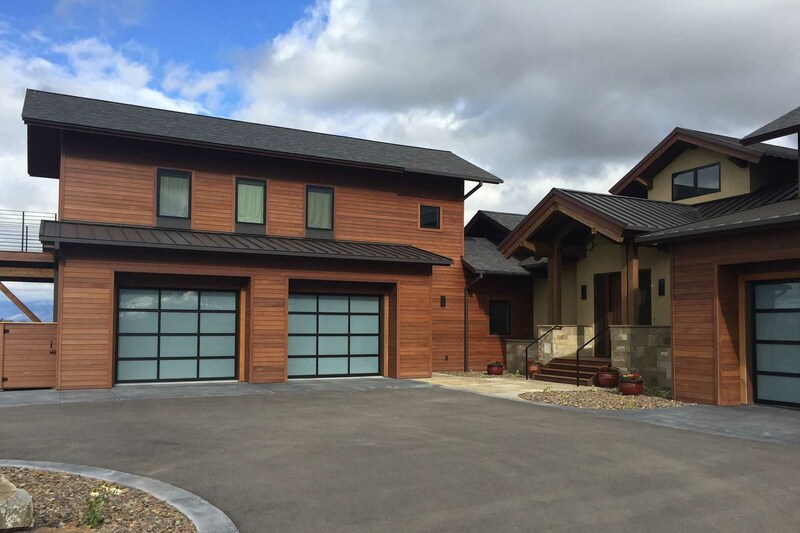 Cambara Mahogany boasts a moderate performance when used in exterior applications. The heartwood is reported to have good resistance to decay causing fungi, however its resistance to termites is considered to be rated poorly. The sapwood from Cambara Mahogany is considered not at all durable. Therefore when working with Cambara Mahogany decking, make sure to only use the heartwood lumber. Khaya and other forms of African Mahogany have existed in the US market for some time, but they have become more prevalent in the last decade following the listing of genuine Mahogany as an endangered species by CITES (Convention of International Trade in Endangered Species). 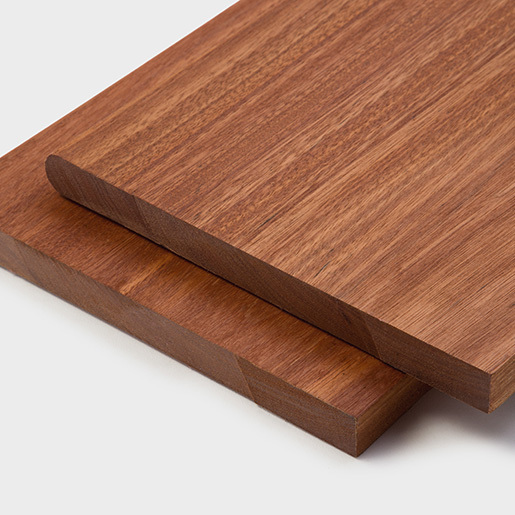 Multiple types of Khaya (African Mahogany) exist exhibiting a range of qualities and colors. Khaya’s heartwood color ranges anywhere from a very pale pink, to a deep reddish brown. The grain is fairly straight although sometimes it is found to be interlocked. Khaya is somewhat popular in the woodworking world, however it is rarely ever used or sold as decking. 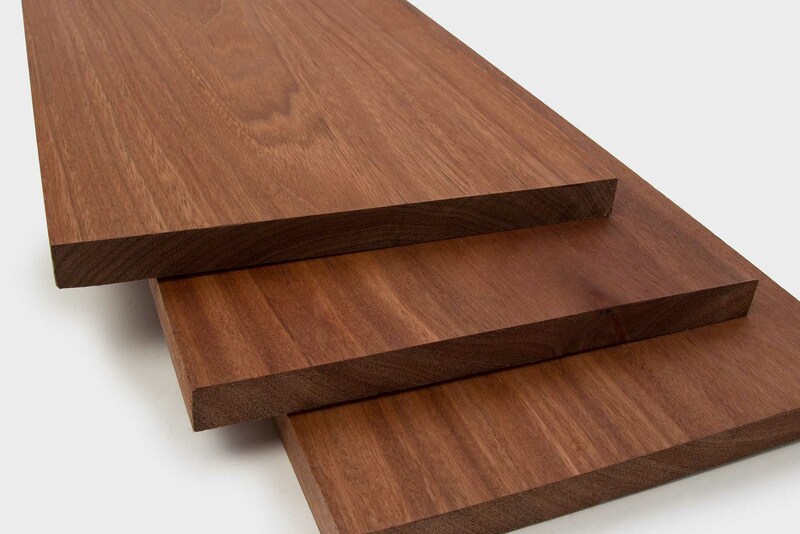 Many companies in the decking industry improperly brand Shorea genus trees as simply “Mahogany” leaving consumers unaware of what they are truly purchasing. This is important because many trees in the Shorea genus will not offer the same quality lumber as others do, but may look just like Genuine Mahogany. This results in many companies offering a “Mahogany” product, generally at a high cost, that may be inferior to what is available. If a company does not offer a long-term warranty, there is a good chance their “Mahogany” is a lower-cost inferior product. "Bamboozled: Before you build a deck, read this"
Now, even if the company is selling genuine plantation grown Mahogany, they often don’t inform the consumer of the difference between old growth and plantation grown Mahogany. The fact is, plantation grown Mahogany is an inferior product when it comes to exterior use. There are many other tropical hardwoods that have proven to perform better as decking, some of which have a beautiful and rich Mahogany color. 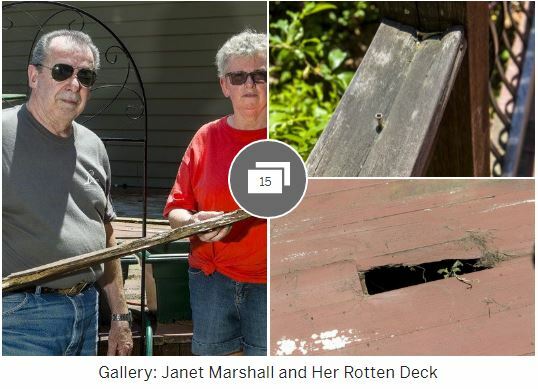 Consumers buying “Mahogany” who look to add strength, durability, lasting beauty, and long term structure may be disappointed if their deck is in poor condition ten years, or even less, from installation. Luckily, with proper research and education surrounding the different types of Mahogany and the misleading marketing practices concerning them, consumers can avoid this shortfall. Nova is specialized in sourcing and importing the highest quality Philippine Mahogany available, Red Balau Batu (NOVA Batu Decking). 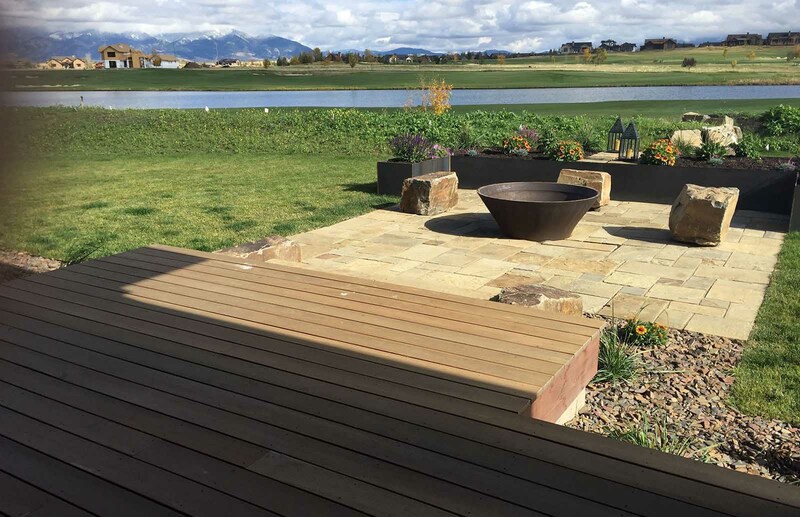 With the combination of adequate knowledge, proper branding, and complete transparency, Nova sets itself apart from competition when it comes to Mahogany decking products. Many companies currently try to market different non-genuine Mahogany woods as Mahogany. This miscommunication or false-marketing has stirred up a lot of confusion and anger surrounding buyers and installers of Mahogany decks. The misleading branding of Mahogany has also lead to consumers paying an inflated price for a product that may be inferior to what is available. Nova strives to be completely transparent on the decking options we offer, none of which are “Genuine Mahogany”, but our decking options are stronger, equally beautiful, and will likely outlast any Meranti or plantation grown Mahogany product.